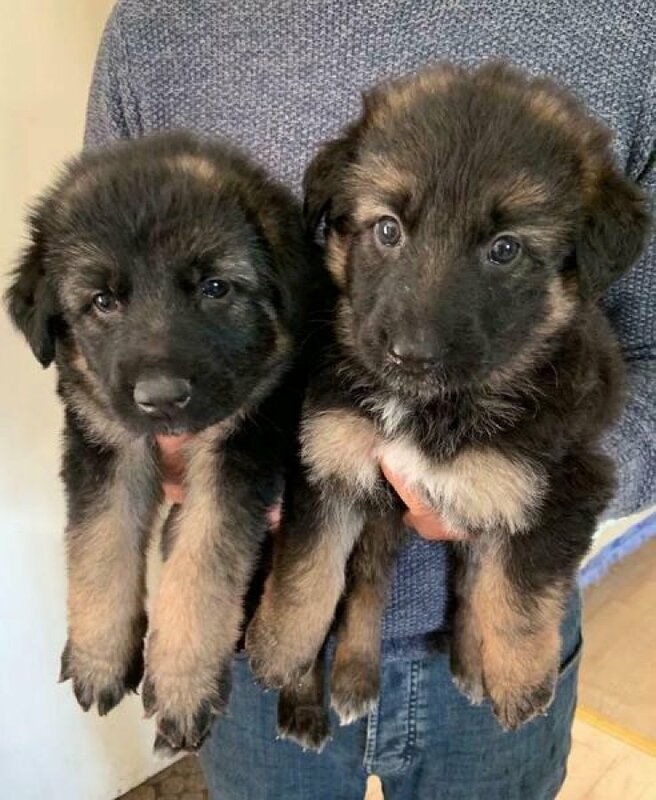 we have a lovely litter of sort after black over dark tanned long coated german shepherd puppies, they are full pedigree pups from thoroughbred line. stunning looking pups, with ideal family temperaments. The boys and other girls have been reserved.mum is Black and Tan And dad is white ,both are family members and been brought up with children and horses ,puppies will be wormed every two weeks with drontal and will be microchipped. Contact Bisuna: German Shepherd Puppies.